Just 1 hour per day at your desk - for 28 days - online, tutor guided course with daily interaction and support. 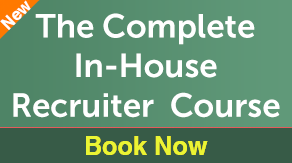 The ultimate course to train new or existing In-House recruiters. The course covers every step of the In-House recruitment process as well as equipping In-House recruiters with tools and techniques to fast-track performance, personally develop and work effectively with the business. You receive 28 Units of bite sized learning, and valuable insights into the In-House recruitment models. By the end of this course you will be able to understand the impact your role has in shaping an organisation, develop techniques for influencing and building relationships, and support to build your brand. This course is officially recognised by The British Institute of Recruiters (BIoR). On completion learners earn BIoR Membership and the professional letters ‘Assoc BIoR (CPD)’ after their name. Anne is an industry expert with over 15 years experience working with and managing In-House teams. She has experience of working with large outsourced partners on a global scale. Anne has worked with and for some of the biggest names in the industry. Every day your you will complete one hour of learning (at any time you like, all online) by completing one Unit and a desk-based activity ensuring theory generates action. The tutor will guide you through the course ensuring each Unit is finished on time and actions are complete. The tutor will also be available to provide support and advice along the way. You can complete the course at your desk, ensuring you can apply the content quickly and with minimum disruption to your recruiting day. Email accounts@ior.org to buy at this discounted rate. What letters do I get after my name? Click here to see all courses on offer.